Cancers that start in the bone are rare. They are distinct from cancers that develop at other sites in the body and spread to the bones later on. 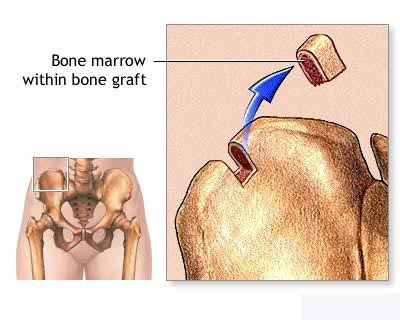 Bone cancer develops from cells in the bone. A rarer type can start in cartilage, the firm connective tissue that surrounds and cushions many joints. If the cancer is not treated, cancer cells from the original site may break away and spread to other parts of the body, such as the lungs, other bones or other internal organs. general symptoms such as tiredness, fever and weight loss. Often, these signs and symptoms will indicate problems other than cancer. However, people who notice any symptoms should see their doctor, who will be able to find the cause or refer them for further tests. Initially the doctor will ask questions about previous medical problems, and carry out a physical examination. They may also arrange referral to a hospital for further tests. Usually you begin by seeing your doctor who will examine you and ask about your general health. Your doctor will ask you about your symptoms. This will include what they are, when you get them and whether anything you do makes them better or worse. Your doctor will ask you to lie down for a physical examination and will feel the area where there is pain or swelling. It may feel tender or it may be possible to feel a lump. After your examination, your doctor may need to refer you to hospital for tests and X-rays. You may be referred directly to a specialist or your doctor may send you to hospital for some tests first - usually an X-ray of the bone at the local hospital. Bone scans are very sensitive and can show up a number of problems with the bones. You are given a small injection of a mildly radioactive material. This collects in areas of damaged bone called hot spots. Hot spots can mean bone cancer. But they can also show if you have arthritis or other bone diseases. The amount of radioactivity used in a bone scan is very small. It soon breaks down and goes away and is nothing to worry about. MRI scans are now routinely done as an investigation for bone tumours. MRI stands for magnetic resonance imaging. This is a scan using magnetism to build up a picture of the inside of the body. They are very useful for showing up how far a bone tumour has grown inside a bone. MRI scans are completely painless, but rather noisy and you have to stay very still while the scan is being taken. You cannot have an MRI if you have any metal parts in your body, for instance a pacemaker or a joint replacement. Do check with your doctor if you are at all concerned. Some bone tumours are benign - they are not cancer and cannot spread. The only sure way to tell if a lump is a cancer or a benign tumour is to get a sample of the lump and examine it under a microscope. This is called a biopsy. Remember - a bone biopsy is a highly specialised procedure. It should only be done by a specialist. If it is done badly, it can spread the cancer. If you are suspected of having a bone cancer, ask for the biopsy to be done at the specialist centre where you will be treated if the diagnosis is confirmed. Fine needle aspiration is sometimes written as fna. A thin needle is put into the lump in your bone. The specialist will try to feel the lump so that he or she knows where to put the needle. If the lump is hard to feel, the doctor may use an ultrasound scan to see exactly where it is and guide the needle into place. Once the needle is in the lump, fluid will be drawn out. The fluid will contain cells which will be examined to see if they are cancerous. A core needle biopsy (or Tru-Cut biopsy) is the same as an fna, but uses a wider needle. A core of bone tissue is drawn out, rather than just fluid and cells. The tissue will be examined for cancer cells. You may have this done under local anaesthetic. You can ask for something to make you drowsy as well if you are at all nervous about it. Surgical biopsy is not used so often these days. During a minor operation, a small piece of bone is removed. This may be done under local or general anaesthetic. Doctors do not do this test unless they have to. Any operation carries an infection risk and infection in the bone can be difficult to deal with. This is a computerised scan using X-rays. If you have been diagnosed with a bone cancer, you will be asked to have a CT scan of your chest. This is to see if there are any signs of enlarged lymph nodes or other cancer spread. Bone cancer does sometimes spread to the lungs. You may be given an injection of dye called ‘contrast’ before the scan. This helps to make the scan clearer to read. If you have not already had a chest X-ray, you may be given one to rule out any spread to the lungs. You will have general blood tests to check your overall health. Your blood cell counts will be measured and tests will be done to check your liver and kidneys. If you have osteosarcoma, your doctor may measure your AP level (alkaline phosphatase). This chemical is a measure of bone activity. If you have a bone cancer, then levels of bone cell activity in the affected bone may well be higher than normal. Not everyone with osteosarcoma has raised AP levels. But it will be measured to check if it is raised in your case. You may be asked to come back to the hospital when your test results have come through. Or you may have arranged with your specialist that you will be contacted at home. The results are bound to take a little time. Bone biopsies take longer than most biopsies to process, so if you have to wait a while, it doesn't mean that anything has gone wrong. You are bound to feel anxious during this time, but try not to worry too much. It may help if you ask your specialist how long the results are likely to take so that you have some idea of how long you will have to wait. Surgery aims to remove the cancer while leaving as much of the bone behind as possible. The extent of surgery necessary depends on the size and location of the cancer. Doctors may also use surgery to treat primary bone cancer that has spread to other parts of the body. Doctors often use a combination of chemotherapy drugs to treat bone cancer. In recent years chemotherapy has become an important treatment because the cancer usually responds well to it. Doctors generally give chemotherapy before surgery to shrink the cancer, making it easier to remove. People may also receive chemotherapy after surgery to destroy any remaining cancer cells. 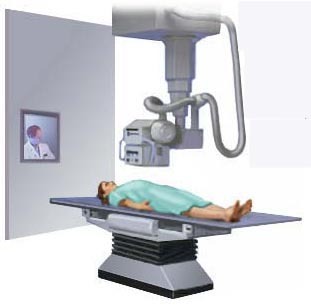 Doctors do not often use radiotherapy used to treat bone cancer, as most types are not very sensitive to radiotherapy.